There’s a song called “Bluebird” that I included on my new Christmas album. It’s little known to most people, co-written by rock guitarist, Robin Trower and his bass player, James Dewar, recorded in 1977. Back in the day I was a fan of Robin Trower, but I’d never heard this song until fairly recently. It’s written from the perspective of someone who is in a snow covered forest, observing a bluebird that has come to land in a tree. This person envies the bird’s beautiful voice saying, “If I had a voice like thine, melody like summer wine, from sunshine islands I would bring, music to the newborn King.” The imagery and sentiment are simple but powerful, as I think back on the many times God has spoken to me through nature, and especially through observing birds. 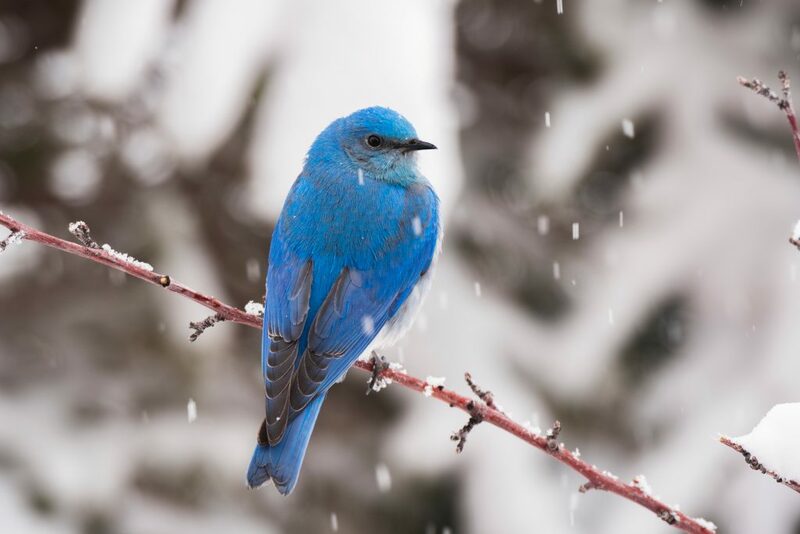 The song goes on to say, “If you want to know His heart, listen, listen to the bluebird sing.” These words remind me of the times in my own life when, as I sought an answer from the Lord for direction or wisdom, He used a bird’s song to reveal Himself and give me peace about whatever was concerning me at the time. God is always speaking to us: through nature, His word, a friend, a street sign. May we have ears to hear His voice, and so know His heart. I love it This is a beautiful song and speaks of the many ways God speaks to us. Fantastic! Love it and want to hear it over and over again!